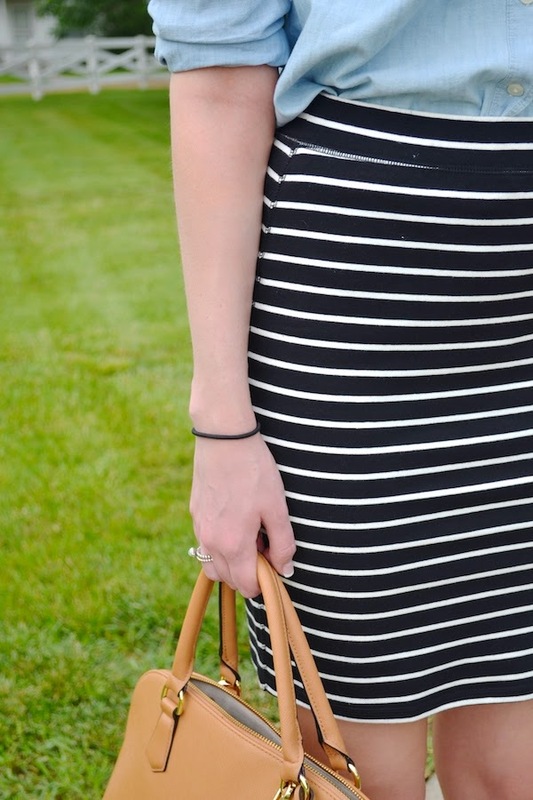 A while back I ordered this striped cotton skirt from Old Navy and I love it! It's a stretchy cotton material that is perfect for dressing up or down. For this look I paired it with a chambray top and some gold wedges. I topped off the look with an triangle necklace (from F21) and my beloved tote. Check back later this month for the second way I styled this skirt!